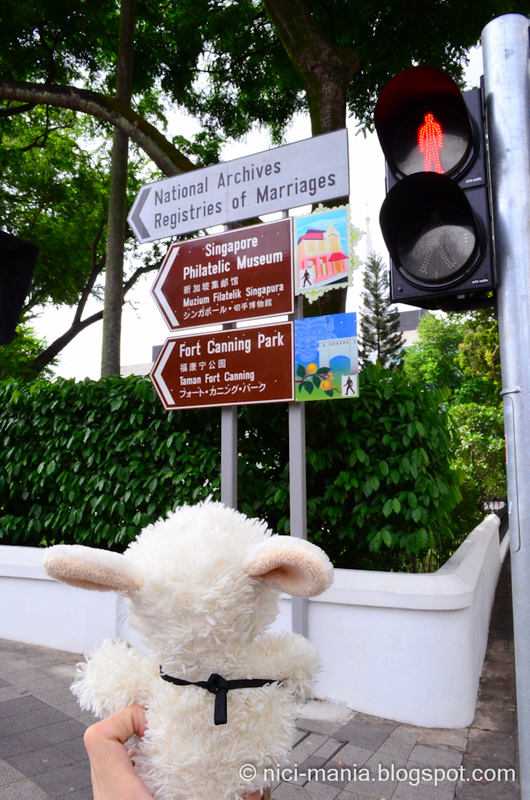 Jolly Wolf is going to visit the Singapore Philatelic Museum today. 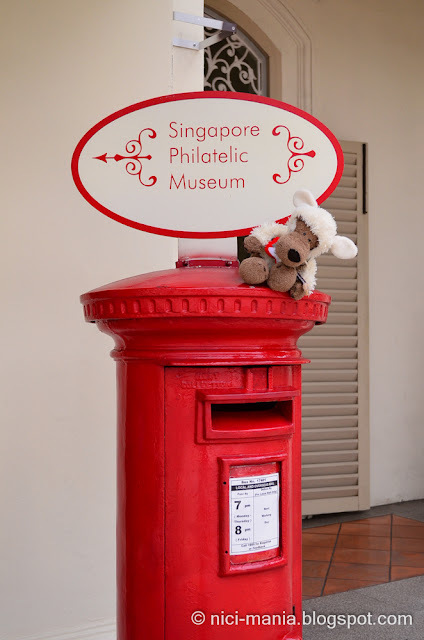 What is the Singapore Philatelic Museum you might wonder? Singapore Philatelic Museum is a museum of stamps and philatelic material collections of Singapore from the 1830s to present day. It is the postal history of Singapore and its stamps. Okay Jolly Wolf is going into the Singapore Philatelic Museum to have a look but not one second after this picture was taken, Jolly Wolf fell down. You could see he is almost falling from the picture. Once inside the Singapore Philatelic Museum, you will be encircled in a house of stamp. 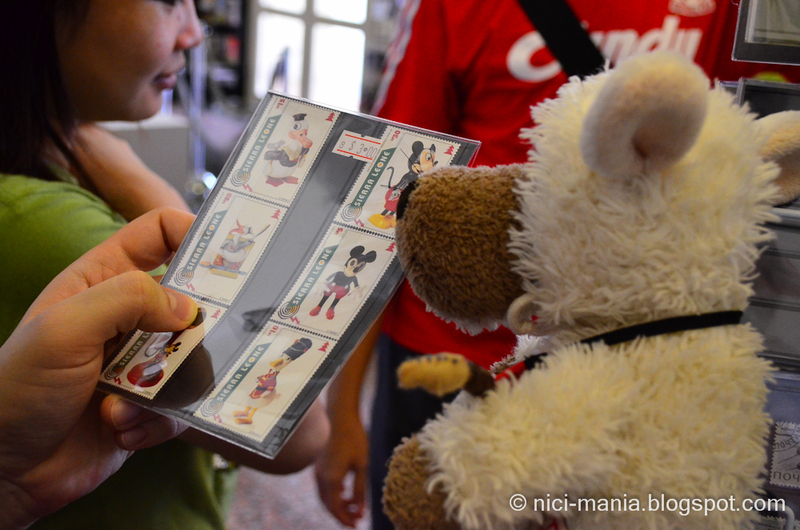 There are literally thousands of stamps everywhere in the Singapore Philatelic Museum and then Jolly Wolf found something interesting..
Jolly Wolf found Mickey Mouse stamp! 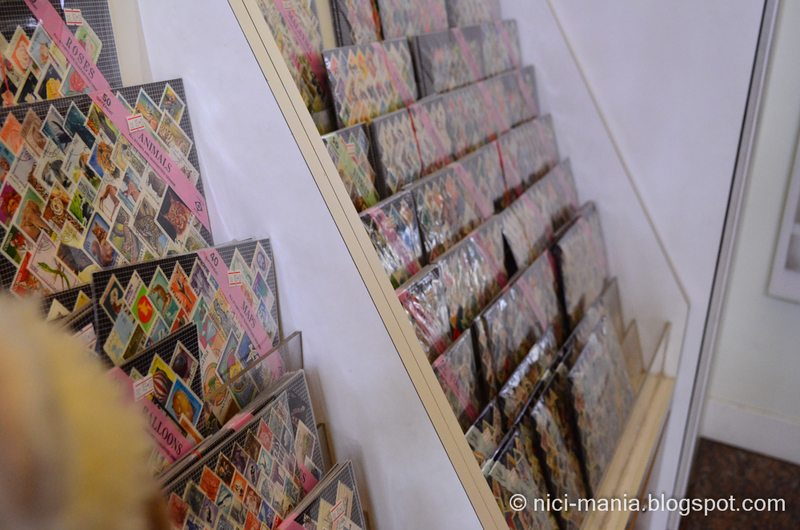 Oh we should mentioned, the Singapore Philatelic Museum is also a stamp shop. 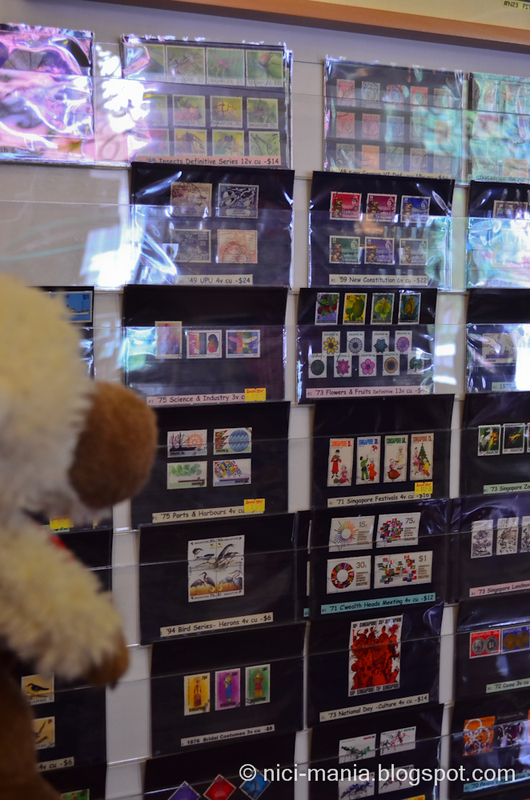 Hence, the Singapore Philatelic Museum is also a great place for stamp collectors to buy unique stamps. Jolly Wolf, what are you looking for? 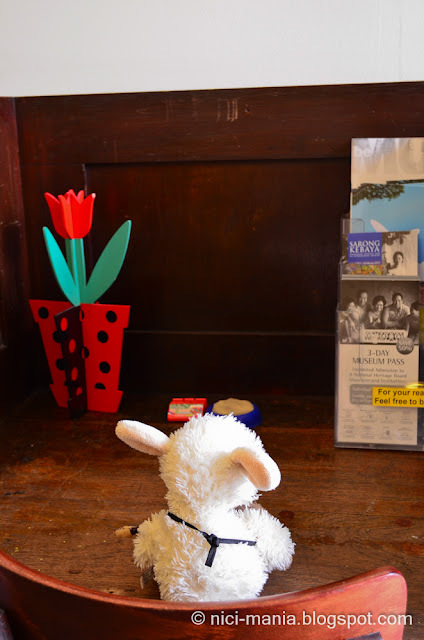 Jolly Wolf is looking for a sheep stamp! Hmm.. Admission is $5 for the Singapore Philatelic Museum, hanging around the stamp shop like what Jolly Wolf did is free. 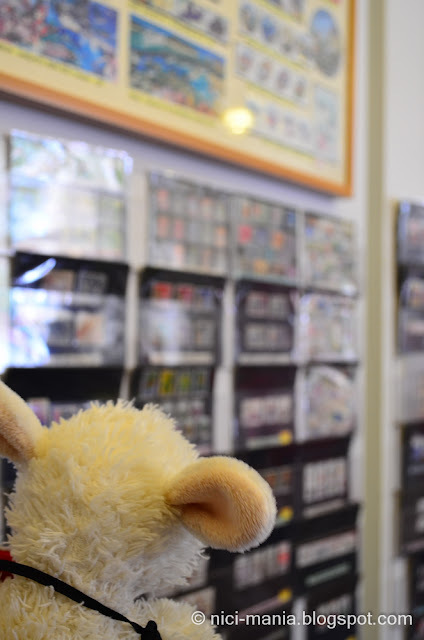 I'm sure that my husband would love to visit the Philatelic Museum! He loves stamps! Did you find any sheep stamp Jolly Wolf? and what is that place with bunny wonderland banner? 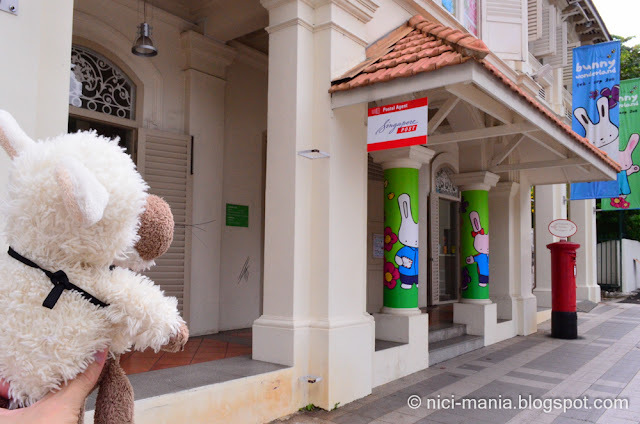 Hi Jess, the bunny you saw is the entrance for the Singapore Philatelic Museum! 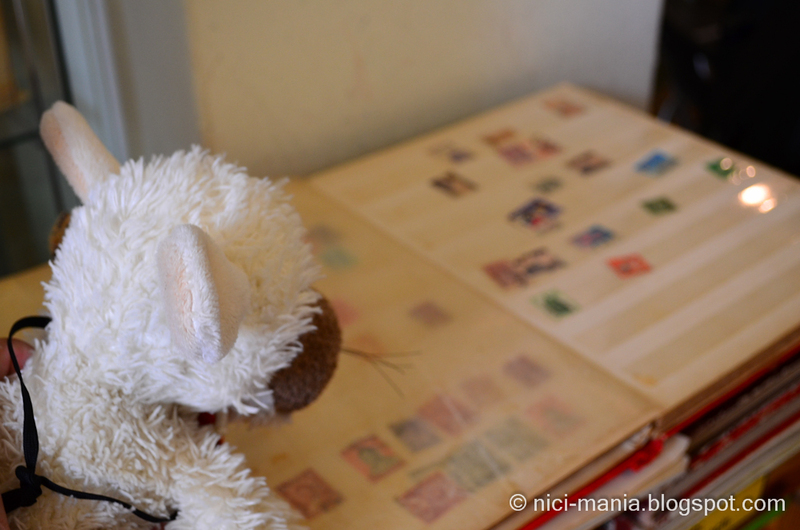 We did not have a thorough look through all the stamps.